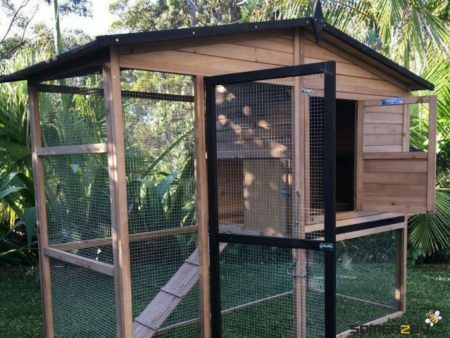 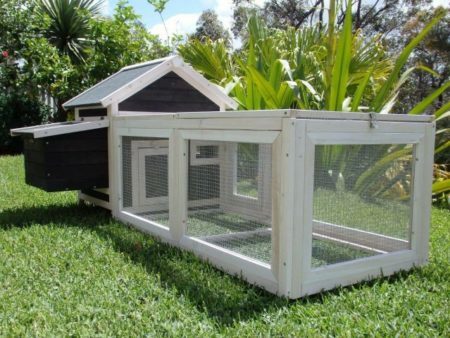 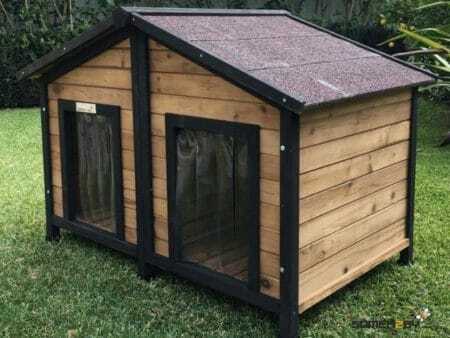 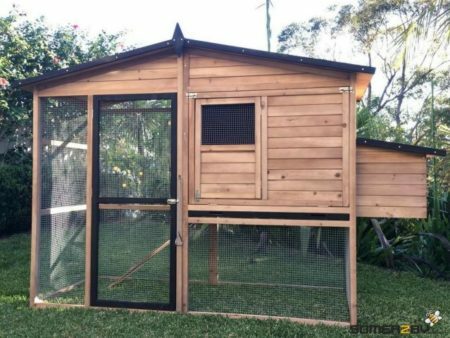 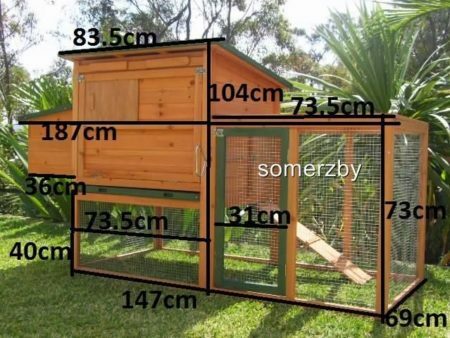 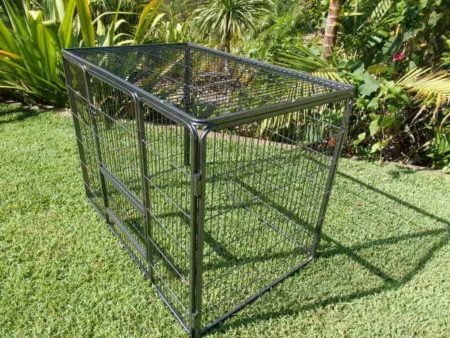 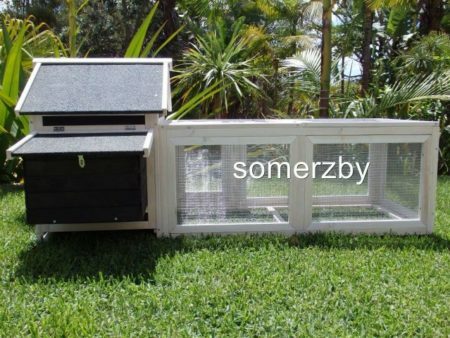 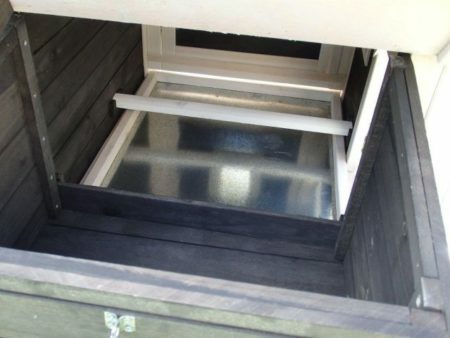 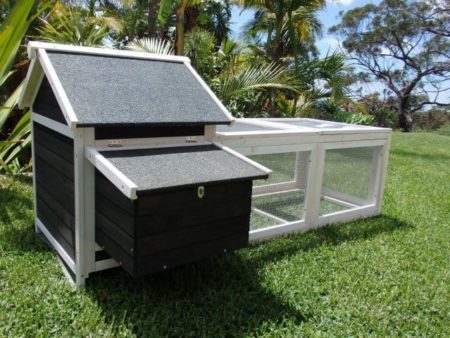 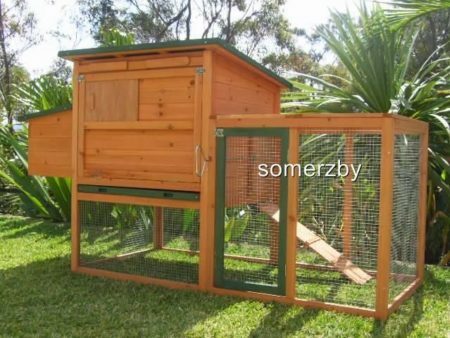 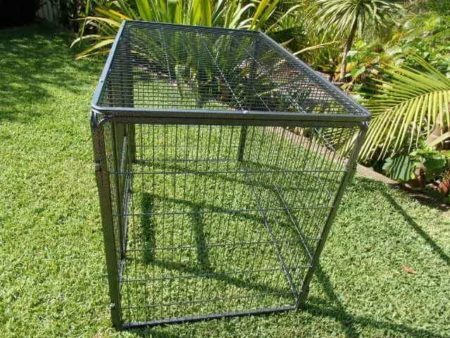 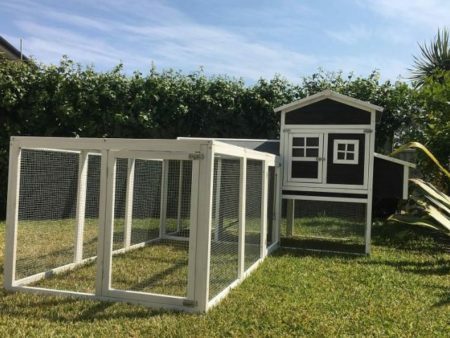 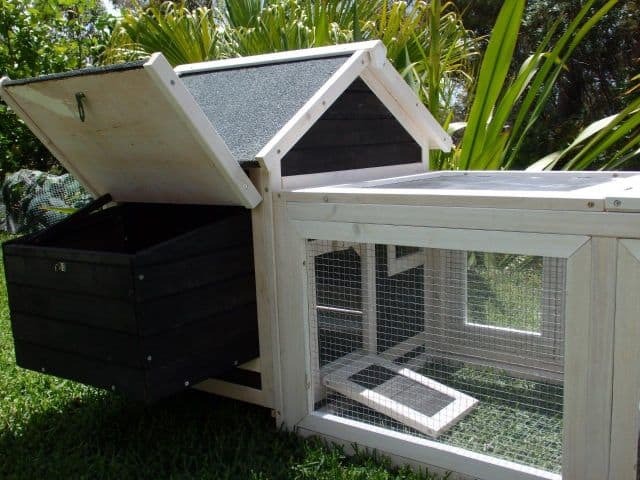 Great for rabbits and to keep out that wily fox with a wire mesh floor and fly/mozzie screens. 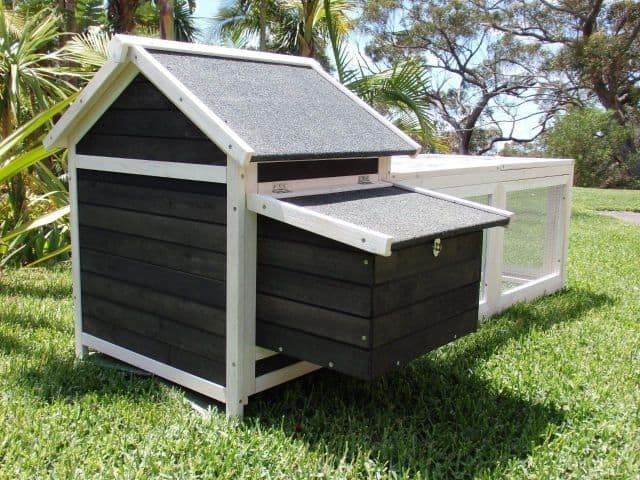 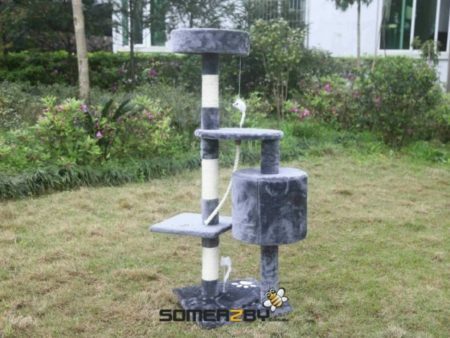 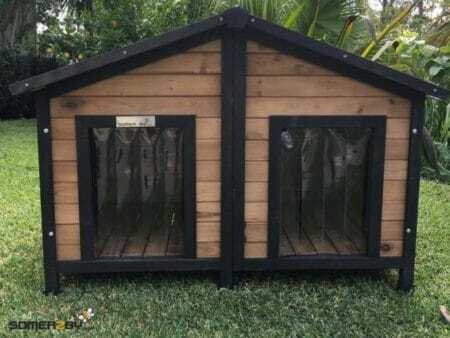 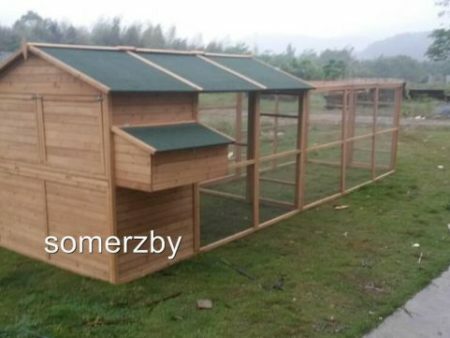 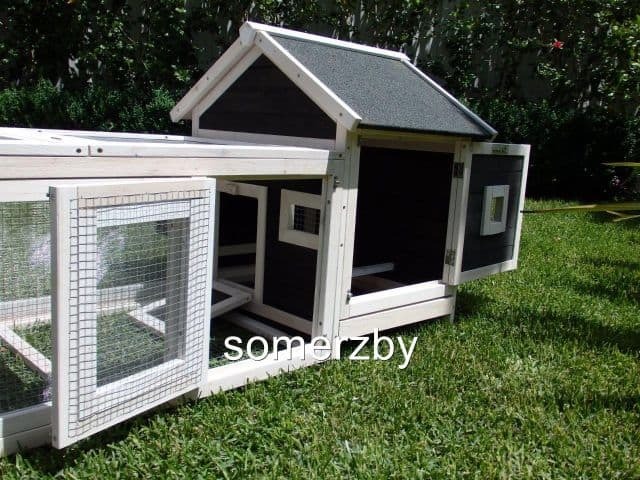 All new style, adorable Rabbit House in Charcoal Colour! 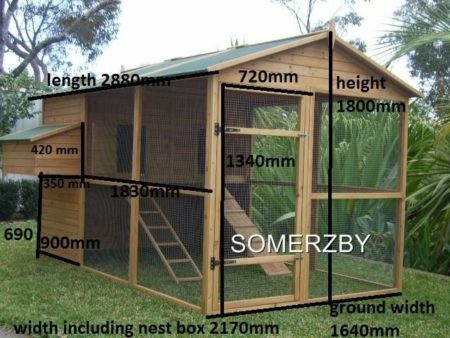 With easy clean and access, the Somerzby Cottage is one of the favourites with Children and adults alike, it is the perfect fit for a smaller backyard. 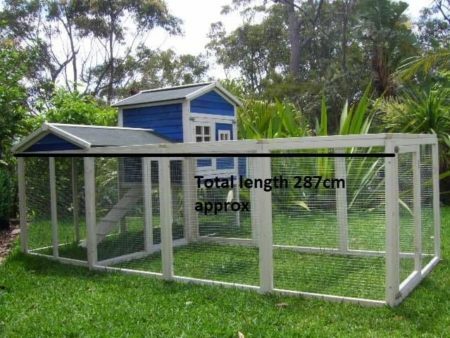 Great for rabbits and to keep out that wily fox with a wire mesh floor and fly/mozzie screens. 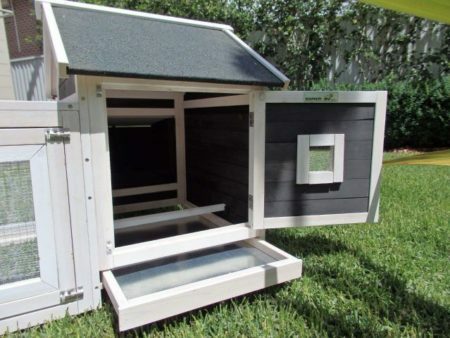 It is easy to clean with a Metal pull out tray and one complete side of the Coop forms a door. The attached run also features 2 Large opening doors for easy access to your Bunnies and ease of cleaning. 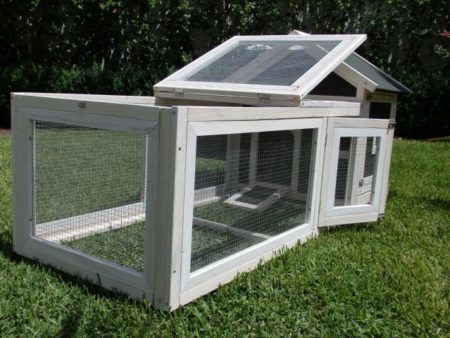 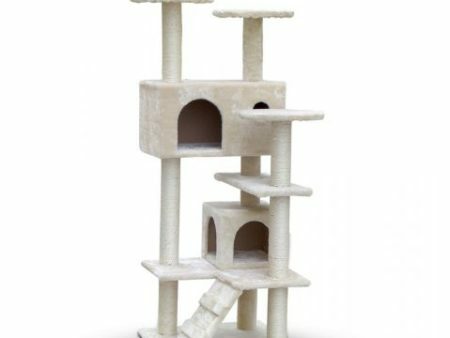 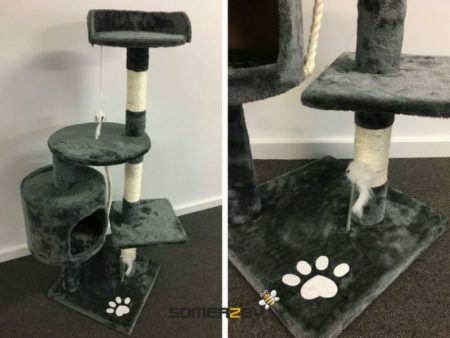 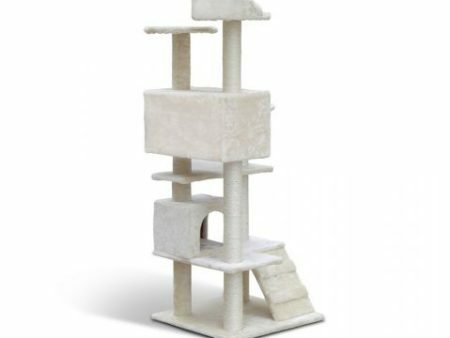 Please note: This product comes 1 Perch, which does not need to be installed in your Rabbit house. 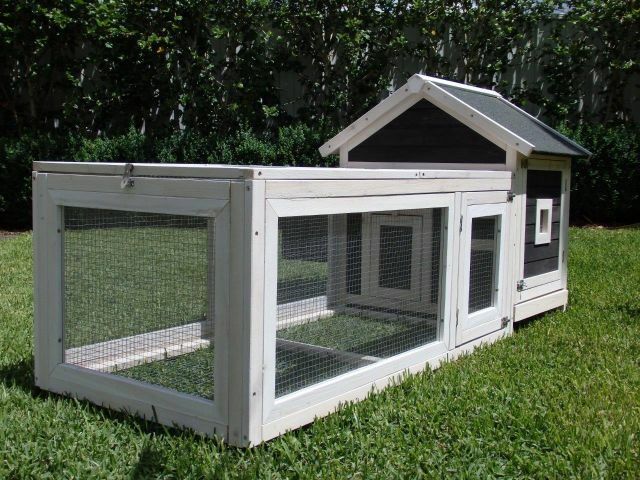 This makes a great chew toy for your bunnies.